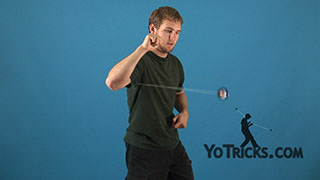 Punching Bags Yoyo TrickThis trick is called Punching Bags, and it looks like this. As you can see, Punching Bags are really looping Tricks, but instead of looping in your normal direction the Punching Bag goes in the opposite direction. If you want to learn Punching Bags, the first thing you really need to do is make sure that you have completely mastered Hop the Fence. All Punching Bags are, is Hop the Fence, but instead of doing the trick straight down, you are going to go straight forward. 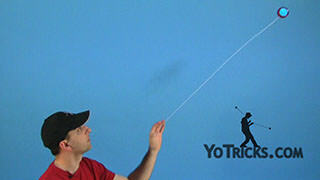 There is another trick you may want to learn called the Fountain, where you do the same trick straight up into the air. Eventually you will want to get good at going from one to the other. So going from straight down, to straight out, and then even pushing it up all the way into the air. We will get to that one later. 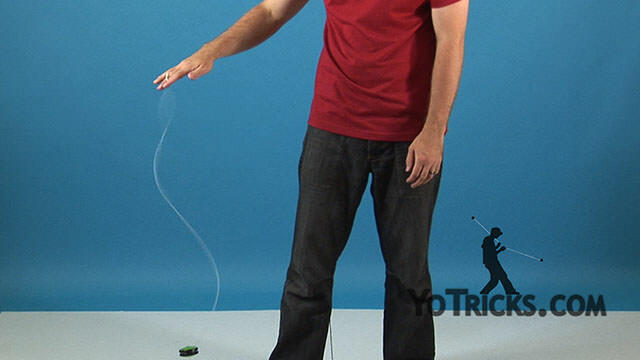 When you are learning your Punching Bags, make sure that you have a good looping yoyo. 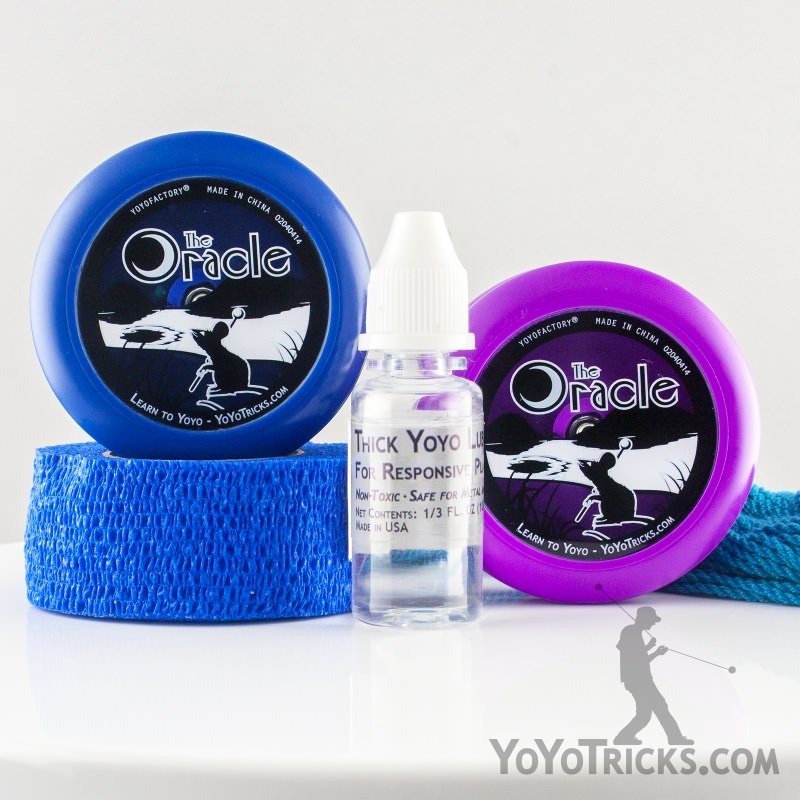 Make sure that you have really greased the axle or at least that it is playing very responsive, if that is how your yoyo is setup, because the more responsive the yoyo plays, the easier this trick is to learn. 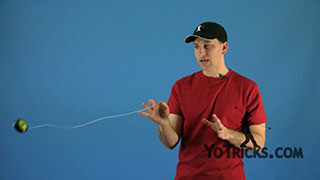 The other thing you may have noticed, is that I have cut my string just a little bit shorter for this video, and that also makes learning the Punching Bags a little bit easier. You don’t want to get too short, but play around with that and that may help you out. 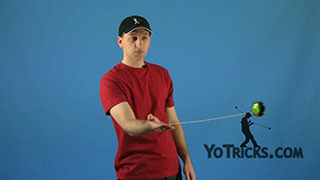 Just like Hop the Fence, when you are learning this trick you want to remember that if you are right-handed it is going to tighten the string, and if you are left-handed it is going to loosen the string. 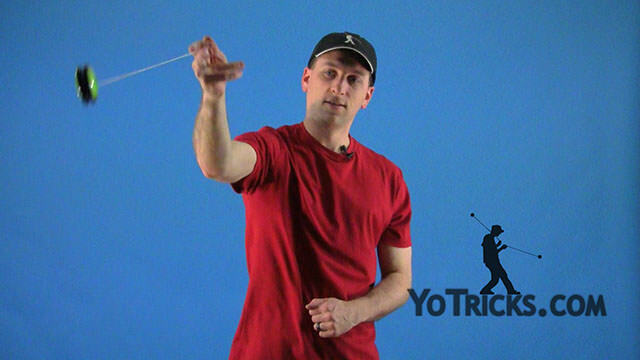 While you are learning this you are definitely going to be doing some string adjustments. 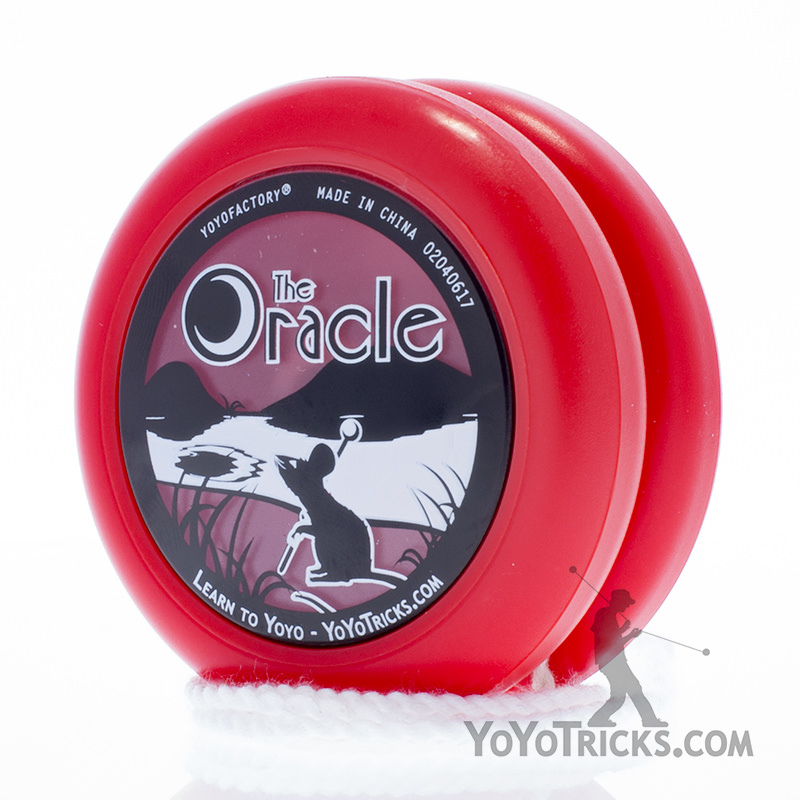 Like I said, you are going to be starting off with your motion of Hop the Fence, but what you want to start doing is pushing the yoyo forward. 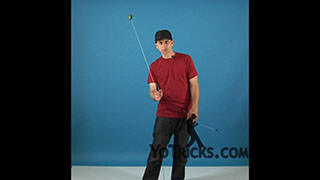 Actually, what you are doing is you are anticipating the direction you want the yoyo to go. When you are doing Hop the Fence the motion is a little bit down or even angled forward a little bit. 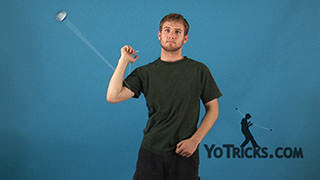 So, for Punching Bags you want to to be angled straight out, and that is where you get the name from, it is this idea that you are pushing the yoyo forward, as it comes back. 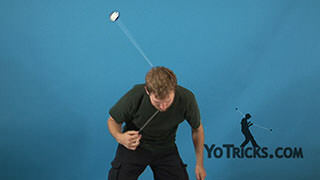 Right when the yoyo gets about right here, you are going to pull back a little bit and then throw it back out, so you can see, that is where the punching motion comes from. 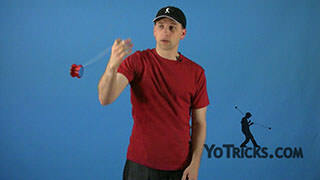 Actually you want to push just a little bit higher in your motion than you want the yoyo to go out. If you want it to go straight out you are going to be pushing up just a little bit. The yoyo is going to fall on its way back down, so as you can see my hand goes up a little bit and that helps me to get that straight out motion. Punching Bags are very challenging to learn, but once you get them they are really great. 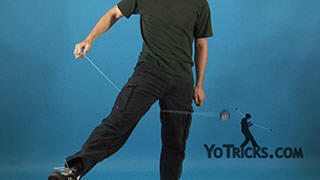 You can do them very fast… you may even be able to do them faster than a Loop. The better and better you get at them you really can just crank them out. There are all sorts of tricks that you can do with Punching Bags, especially when you get into Two-Handing, Two-Handed Punching Bags are very impressive. Work on it, keep trying it. Start with your Hop the Fence, and just start pushing it up.